Have you ever wondered how life would be without eyeglasses? Problems like myopia, hyperopia, cataract and glaucoma are quite common today among various age groups. Symptoms like headaches, eyestrain and difficulty to see near or distant objects are common in such cases. Eyeglasses not only allow better vision during bright daylight, they also protect the eyes from harmful ultraviolet rays. The power of eyes is measured in diopters. Glasses can correct myopia with negative diopter strengths and hypermetropia with positive diopter strengths. There are varieties of eyeglasses including corrective, safety, 3D, and readymade reading glasses. You can enhance your features and have our own personal style by wearing fashionable eyeglasses. You can check out the websites of local optical stores to get an idea of the available brands. You can make a real statement with the color and eye catching details of eyeglasses. You can choose eyeglasses on the basis of the kind of work you do. For instance, if you have your own business then its best to try out conservative shapes and colours. In case, you are someone creative like an artist or writer, you can show your creative and fashionable side with modern shapes. You can select from different types of eyeglasses available in the market like lightweight, retro and premium eyeglasses. Light eyeglasses are very comfortable to wear and are hypoallergenic, offering endless scope of colour combinations and individual solutions. Men usually look cool and suave with thick and dark plastic-rimmed glasses. Retro eyeglasses are a blend of style of yesteryears and modern technology. These eyeglasses come in different cuts and sizes. Cool and casual styles include the laid back Americano look. Cosmo Vibe is for users who want an elegant look. You can choose any one of the trends and have fun with eyeglasses. A lighter glass is ideal if you need prescription lenses (for single vision, reading or varifocals) that you can use even on a dark and dreary day. Don’t shy away from being fussy, or be timid while trying to think outside the box. Make a note of the bridge of the frames and the frames specific detailing. All this types of eyeglasses are available on the internet through a number of web portals. So, you can buy spectacles of your choice without burning a hole in your pocket. There are numerous ways through which you can make a style statement with eyeglasses. Putting heavy emphasis on the browline with the retro type shape coming out with juxtaposing skins can be really impressive. Choosing the eye frame according to one’s face is very crucial. There are three points which you should keep in mind while choosing eyewear. Make sure that the eyeglasses match with the shape and colour of your face. The size of the frame should be proportional to the size of the face. The eyeglasses you select must enhance your features. For example, if you have a round face with the length and breadth in small proportions, narrow frames can make you look longer and thinner. 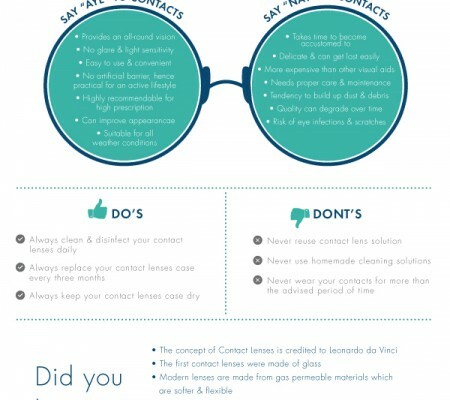 There are a number of factors which you should keep in mind while buying eyeglasses as prescribed by your doctor. 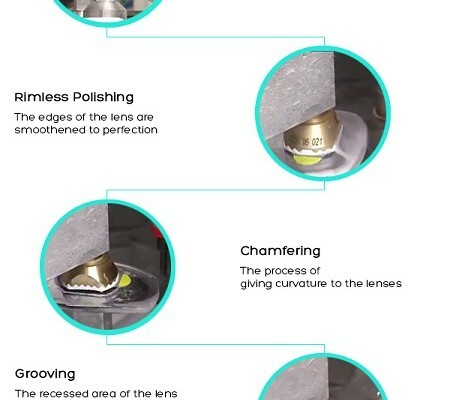 To get the correct type of optical lenses for vision correction, a professional eye care practitioner can determine the right strength and thickness for you. However, the most difficult part of buying eyeglasses is choosing the right frame. However there is a very easy solution to this problem. You can opt for rimless glasses. They are stylish and there are no hassles for choosing the correct frame. Lenses are usually rounded or angular in shape. 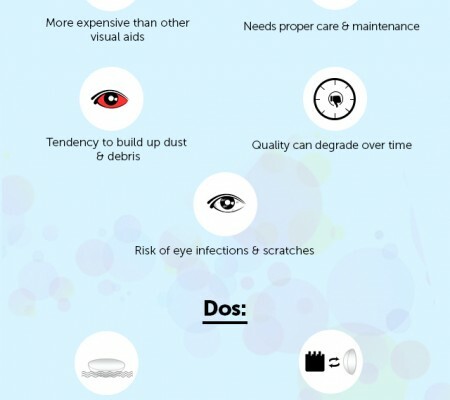 However, it is wise to be aware of the lifespan of your glasses. Frames support the lenses, and without these, lenses in rimless eyglasses are more prone to breakage. Rimless eyeglasses like the ones from Oakley are the best as one doesn’t have to decide on the perfect frames to match his or her facial features. For parents, making children wear a cute, stylish pair of glasses can be quite a problem. Getting a child to wear glasses can be quite a hectic task. But there are a number of tricks which parents can use to make their children wear eyeglasses in such a way that wearing glasses becomes a part of their daily lives. Usually, children fear that they will look different while wearing eyeglasses. A simple reminder to your child like telling them how beautiful he or she looks with their glasses on can boost their confidence. Make sure that wearing glasses becomes your kid’s everyday routine just like brushing teeth or taking a bath. Choosing eyeglasses for kids can be real fun. For the best fitting, frames should not be higher than your kid’s eyebrows. The lower edge of the frame should not touch the child’s cheeks even when smiling. Avoid frames which are either too narrow or too wide. In case the child is very active and there is possibility of dropping and breaking the frames, getting an eyeglasses chain to put it around the child’s neck can be really helpful. Chains are useful if the glasses are required for sport and can be taken on and off according to needs. Regular check-ups are also essential.